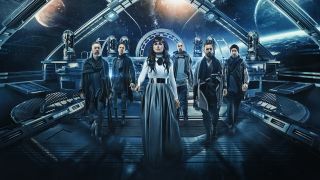 Within Temptation have released a lyric video for their track Mad World. The song has been taken from the band’s latest album Resist, which launched in December last year through Spinefarm Records. The follow-up to 2014’s Hydra came after a period of turmoil and uncertainty in the band, with their seventh studio album having a darker edge than previous releases. Vocalist Sharon Den Adel told Metal Hammer: “Sometimes it feels that today’s pop music lacks a rebellious edge. “Our main goal was to collect pieces from sounds we did like then roughen the whole thing up as much as we could, allowing us to shape a new musical world that is heavier, dirtier and more futuristic than we’ve ever created before. Within Temptation have several festival appearances coming up, including sets at Graspop Metal Meeting and Hellfest.